Michaela Shanae’s Street Team is a unique opportunity for high school seniors to take part in group photo shoots, make new friends and have unique senior sessions taken during the summer leading up to their senior year and throughout their senior year. Only a select number get chosen to be on the Street Team each year and it is highly sought after in the area. Exclusive only to Street Team members, you can take part in many different sessions types throughout your time as a member have memories from your senior year to last a lifetime! As a Street Team Member you will be able to take part in Street Team only group sessions - there will always be a first group session to introduce the team and then others throughout the year with different themes. In the spring of your senior year, around the time you receive your cap and gown, you have the option as a Street Team member to do a Cap & Gown session! This can be with a group or individually. 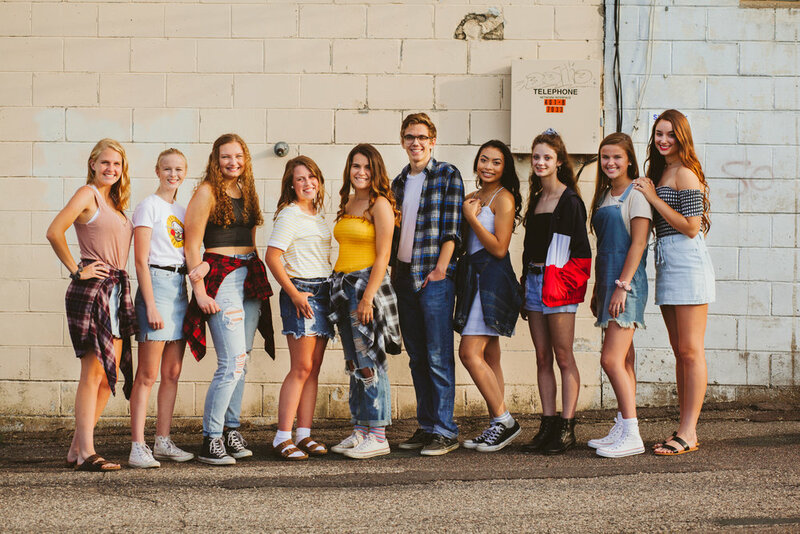 As an add on to your full senior session in the summer, you can opt to do a fall session with all the beautiful colors Minnesota has to offer! Great time to pull out your cute fall wardrobe, scarves and hats! Many Street Team members in years past have opted to do a Best Friend session. Bring your BFF or five! This is great for groups of friends going off to different colleges in the fall! What’s Minnesota without winter, right? Let’s go out and have some fun in the snow! Bring your favorite cozy clothes and mittens and we will capture you in all of the winter glory!